For up to date information subscribe to our monthly E-Blasts & Newsletter, click on link for the current article. Small and large businesses will use the cloud for a backup solution. 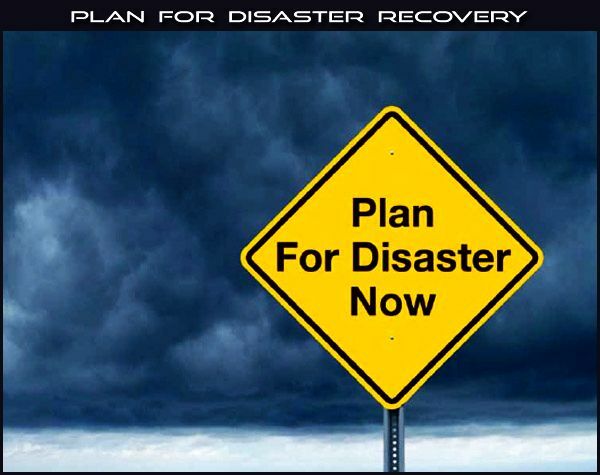 Do you have a Disaster Recovery Plan? Online Backup and recovery is a major part of a growing consumer trend. An estimated 1-in-10 computer hard drives fail each year resulting in the loss of important files such as financial documents, emails, digital photos and music. Even more, nearly 43% of all computer users will lose some of their important files because of other computer or hardware problems. Consumers and small businesses especially are interested in alternative methods of protecting their data, as traditional backup methods fall short regarding efficiency, reliability, and ease-of-use. Consumers are shifting towards protecting the information stored on their computer's hard drive by using an online backup service. Similarly, small & medium businesses are actively scouting for a complete backup-to-the-cloud solution, which is inexpensive, reliable & provides mandatory compliance. Adding an online backup solution to your business will not only bring you peace of mind but will safeguard you for unforeseen disasters and occurrences that can cripple your organization. Call an Offsite representative today and take advantage of their 15 free trial and see how easy it is to implement, retrieve past info and protect what matters most, your data! It’s under lock and key, so it’s secure, right? Whether it’s your IT closet, or an unsecured self-storage facility, confidential information stored on hard drives, back-up storage and other media is the target of data thieves. You already know that erasing is not 100% safe, no matter what the software promises. The actual data remains. Information thieves can restore the data you thought was destroyed. The cost to destroy your hard drives is minimal compared to the potential risks you face when you don’t. Offsite will permanently destroy your information at an affordable cost that will fit your budget. Offsite’s secure chain of custody ensures pick up and destruction within a few business days. You will also receive a Certificate of Destruction for your records.